Traditional Marketing without Digital Marketing is a waste! Traditional marketing has been in existence for ages. It refers to the type of marketing where adverts are placed on newspapers, billboards, flyers, TV commercials etc. There is no doubt that businesses have recorded high success rate from traditional advertisement but I can tell you undoubtedly that it is a total waste of time, space and money if not bolstered with digital marketing. With the emergence of the internet and growing technology, traditional marketing has taken a back seat and given way for a more advanced type of marketing, which is Digital Marketing. Digital marketing refers to the use of digital technologies to market products and services, mainly on the Internet, which also includes the use of mobile phones, display advertising, and other digital media. Technology is taking over the world, and the social media is having a significant impact on how we behave socially, act as consumers and carry out our day-to-day businesses. Having that in mind, it is safe to say that any business that is not taking advantage of the internet to market its products and services is losing out a great deal and will never measure up to its competitors who are already on the internet and social media. Some businesses are still skeptical about embracing digital marketing and still stick to the traditional marketing methods probably due to the success they have recorded in the past using this method. In a matter of time, traditional marketing will phase out to a more modern way of marketing, digital marketing. Here, I will show you the advantages of digital marketing over traditional marketing. 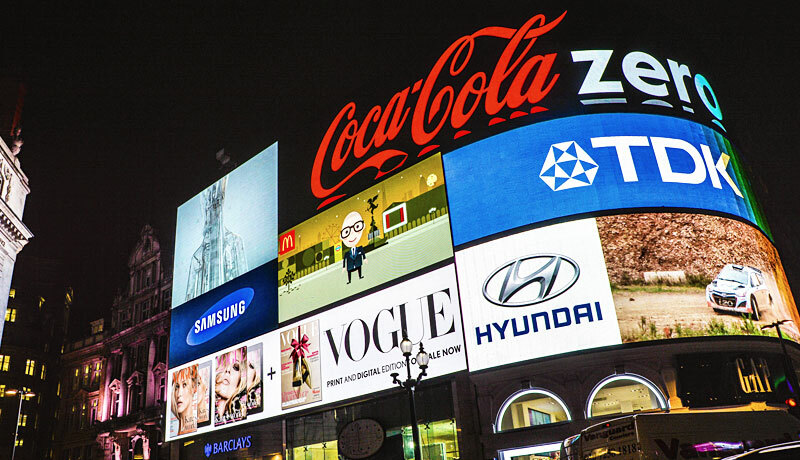 Reduced Cost: Purchasing television, radio or billboard ads tends to be very expensive and can eat deep into your capital. Digital marketing, on the other hand, can be done according to your set budget and can save you lots of money with the pay-per-click, pay-per-lead and pay-per-acquisition You can also get a free listing on Google My Business for free, which can be just as effective as advertising on yellow pages which costs thousands of dollars. Demographic Targeting: Digital marketing allows you target a specific audience, interests, age, location, and behaviour, unlike traditional marketing which shows your adverts to the general public including those who are not interested in your products or services. Targeting your adverts to the right audience increases your chances of making a sale, and this is very attainable through digital marketing. Real-Time Campaign Monitoring: When you run an online campaign, you can monitor and measure how well your campaign is doing. You can see in real-time the traffic your campaign has generated and if it has converted to sales. There are free analytics tools available on the internet like Google Analytics which are specifically designed for monitoring, reporting and optimizing campaigns. This option is not available in traditional marketing. Definitely not! Digital marketing enables you to see the number of traffic and sales conversion in real time. You do not have to wait for days or weeks before you start noticing positive results in your business. Strategy Refining & Fine-Tuning: Tracking and monitoring the success of your campaign gives you an insight of what works and what doesn’t work in your marketing strategy. These results can be used to refine your campaign strategy at any point in time until you perfect it. You are now able to stick to what works best thereafter. This is super awesome! Level Playing Field: Digital marketing gives small businesses the opportunity to compete against recognized brands without going bankrupt. These big brands can afford to pay millions for traditional marketing which a startup company might not be able to afford. With digital marketing, you do not need millions to run an online campaign. It is budget friendly and can be equally afforded by both small and large businesses. Brand Engagement: You can engage existing and prospective customers on your social media pages and blogs. This is a great way to generate leads and convert them into sales. A regularly updated website or social media page shows people how you offer the best value to your clients and gives you the chance to convince an undecided or interested buyer. Greater Return On Investment (ROI): You do not need to invest heavily on an advertisement campaign when using digital marketing. This saves you a lot of money, and once you have optimized the keyword search content on your website, you should see a long-term return on your investment and will be fairly low cost to maintain your ranking on search engines. With digital marketing, you can measure ROI, whereas with traditional marketing it will be more daunting to calculate ROI. Finally, traditionally marketing may have worked for some till now, but since the advent of the internet, the game has changed. From broadcasting an advert to the entire audience on TV or Radio, without being able to monitor audience’s behaviour, sharing thousands of flyers to everyone on a busy street regardless of whether they can read or write, and to advertising on billboards without being able to ascertain if the advert was seen or not. I can carry on with these setbacks of traditional marketing, but with digital marketing comes hope and solutions. Hence, the reason for any serious business to adopt digital marketing because it works wonders; it is affordable measurable, flexible, predictable, prolific, and rewarding.